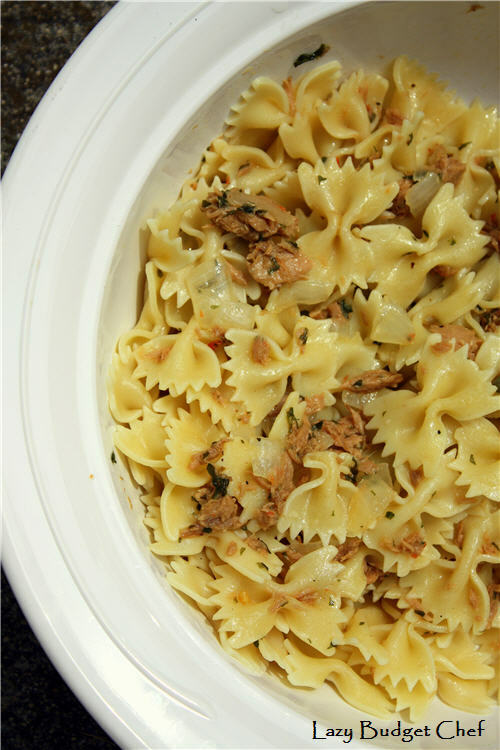 With the help of my BFF Google, I may not have found the original tuna and caper pasta dinner recipe but instead I found a better one. 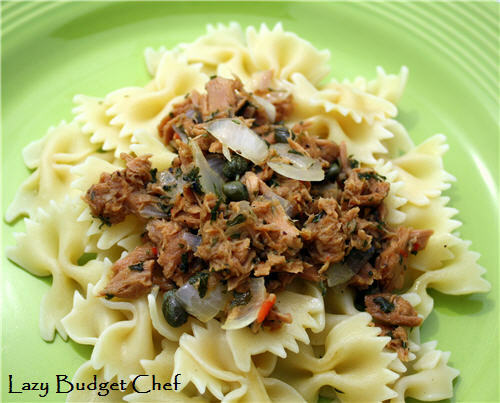 I whipped up Simply Recipe's Pasta with Tuna and Capers in White Wine Sauce with pantry staples for lunch. Yum! Here's a photo of the not fancy plated version of the recipe. So good. So quick. So easy to make. I made sure to pin it to my Pinterest recipe board so I can find the recipe and make it again in the future. Follow me @condoblues on Pinterest for more recipe ideas! What is your favorite way to serve tuna fish?